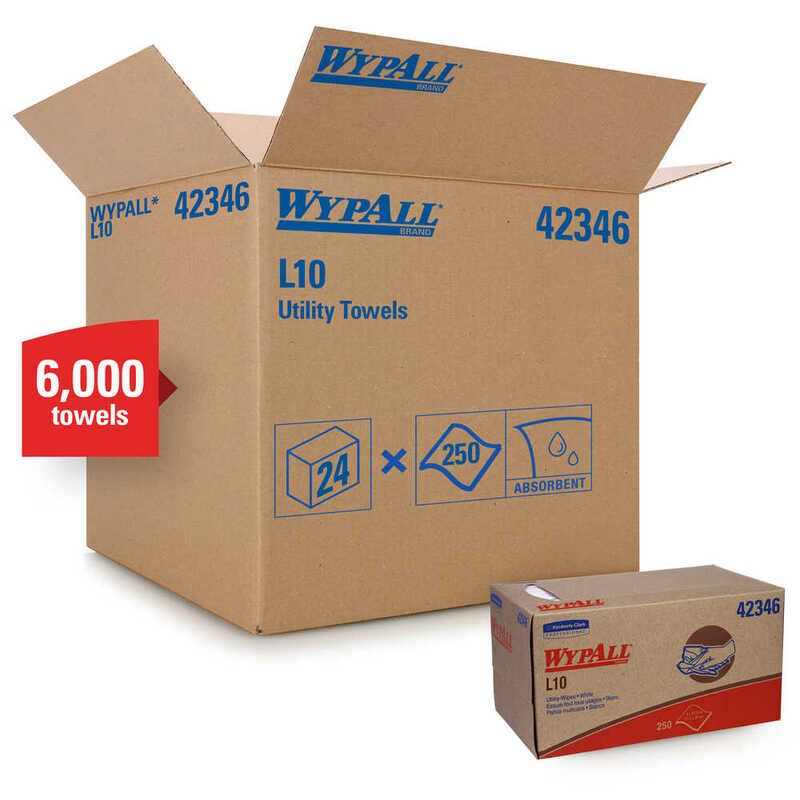 9.0" x 10.25" 12" x 10.25" 9" x 10.25"
When you need a light-duty towel to deliver results at an economical price, the WypAll L10 Limited Use Towels are a great choice. 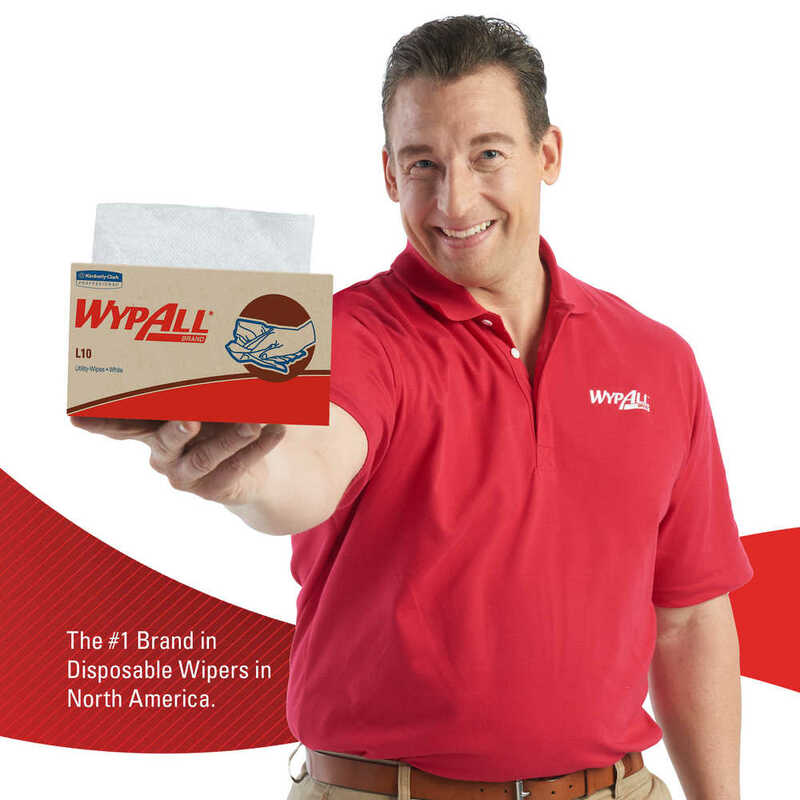 They are soft, strong and absorbent, so they’re a favorite replacement for cleaning towels for spray-and-wipe jobs, glass surface cleaning, absorbing small liquid spills, detail and final assembly wiping. 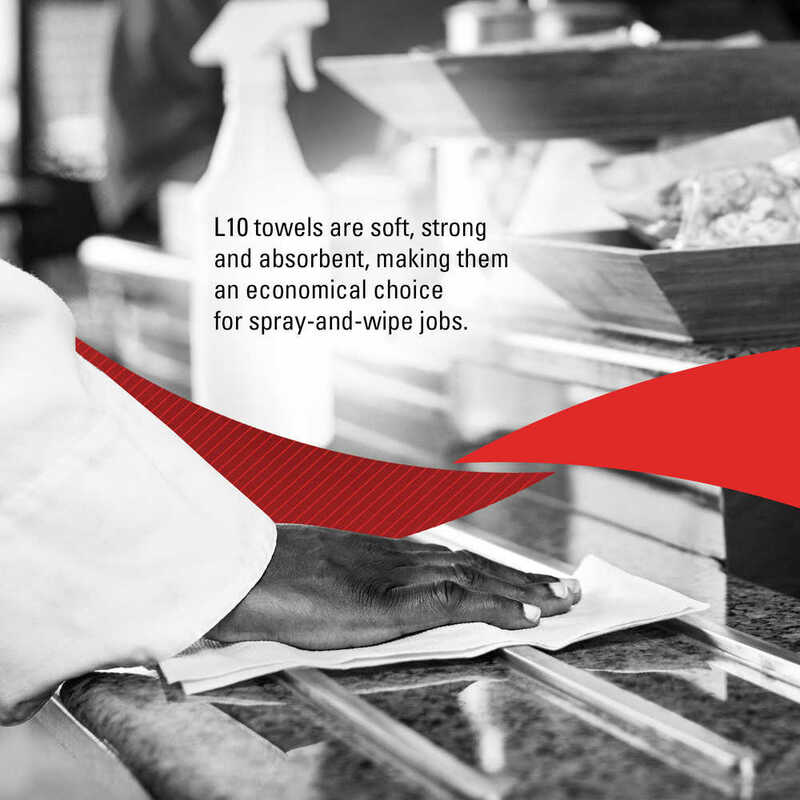 You’ll find these disposable towels in hospitality housekeeping, retail cleaning and general light-duty cleaning pursuits. They’re even gentle enough to use as hand wipes. 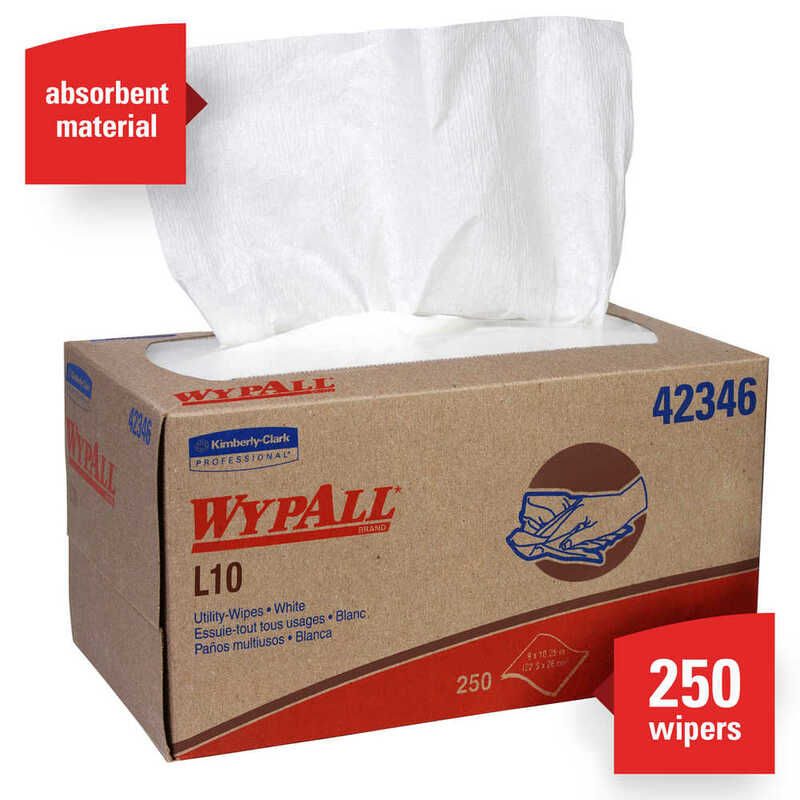 WypAll L10 Limited Use Towels are manufactured using a very efficient manufacturing technology that makes them extra absorbent. 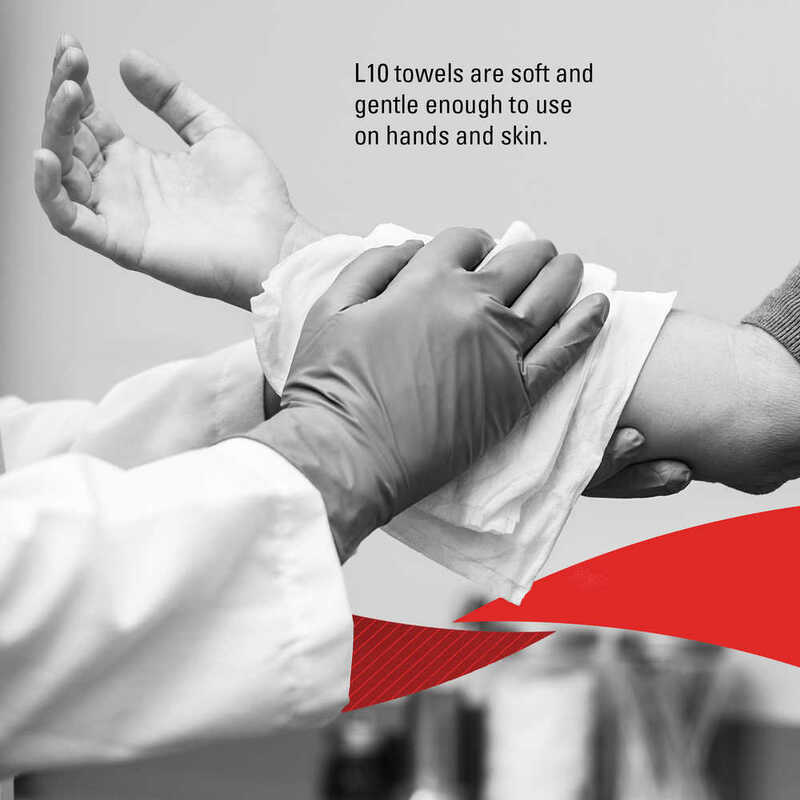 Since these white towels absorb better than towels and drink up liquids faster, you get better drying performance that can reduce usage overall. 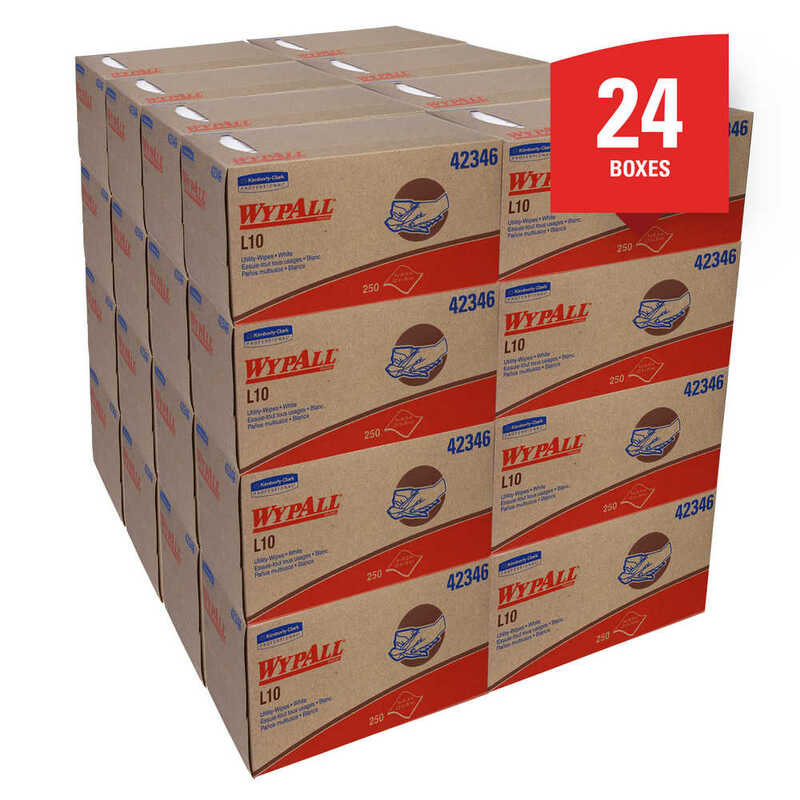 The single fold Pop-Up Box format delivers a clean, fresh towel each time and protects your towels against splashes, dust and other contaminants. The one-at-a-time dispensing can help you reduce waste and save money. 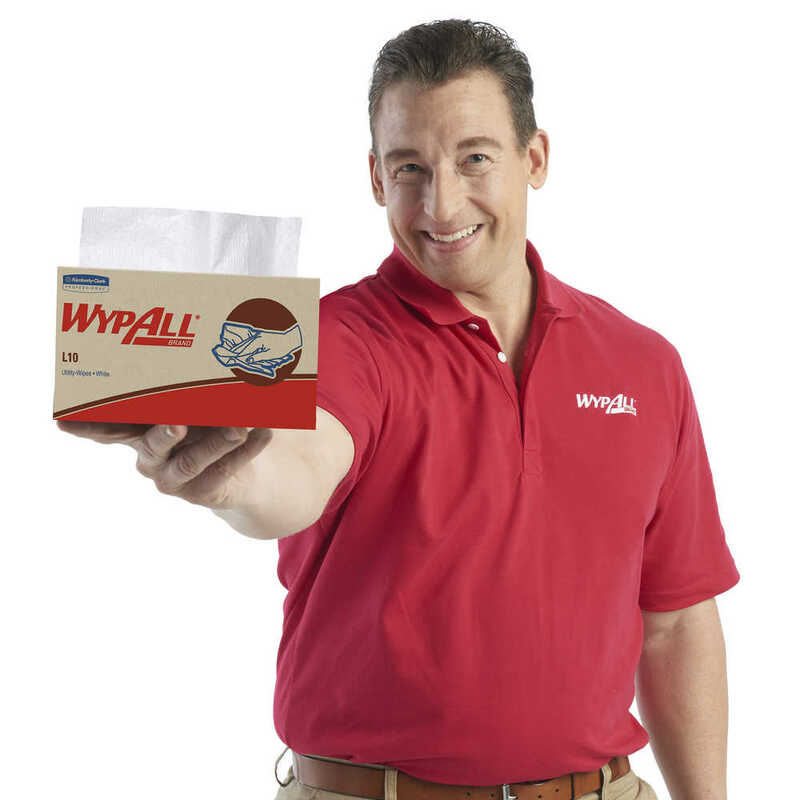 WypAll L10 Towels are a terrific, reliable replacement for paper towels and can add efficiency to your business. They meet EPA guidelines for recycled fiber content.